It is great to see my ponies winning ridden classes. Busy days ahead so have to decide what to wear and where, looking forward to judging tomorrow at Eastern Welsh WPCS Association. Foal, Folk Lore & More. 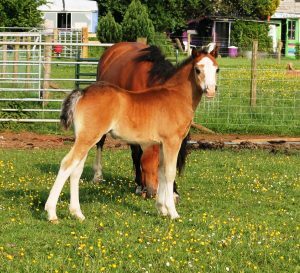 I have been remembering the Folk Lore that is part of the farm and have enclosed photos with a story, also a chance to take fresh photos of the foals. Brian came to live in this area in 1939, he was 9 years old and he learnt so much from the people that had lived in the area and the tales they had to tell, he passed on these stories to the family. A farm labourer by the name of Jim Bird (he lived to over a hundred) worked on many of the farms, in the field just outside the bungalow when ploughing his plough horses would not plough over a certain area of ground and even now tractors slow almost to a standstill over the same area when making hay. The field where this happens just over the fence. It has been a lovely sunny day which can be very up lifting. Today over an hour updating and hoping blogs now will go straight to facebook, I had also updated my Web site, so hope you enjoy the changes. 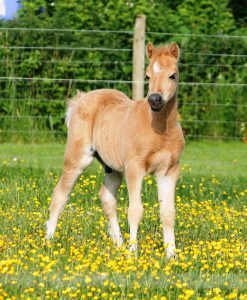 New photos on the foal page and mare page. Also completed more paperwork. The lambs should soon be off the bottles, so when I open the back door silence will reign. 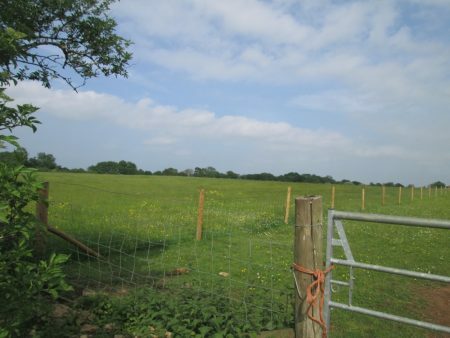 The photo are of Forlan Masterminds three mares, foals hidden, another yet to be added..
Nestled on the edge of the Cotswold, overlooking and running down to the village of Ford is the Forlan Stud, with its lovely hill and ancient woodland host to many grasses & wild flowers. The perfect environment to breed Welsh Mountain Ponies. 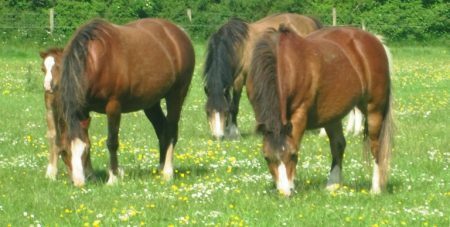 Established in 1968 by Brian & Betty French, welsh mountain ponies have foaled and thrived on the hills and meadows. Brian died in 2010 on 1st June a day after his 79th birthday; we had been together for 48 years and of the many blessings were our two children Jeremy & Sara and grandchildren Charlotte & Freyja. 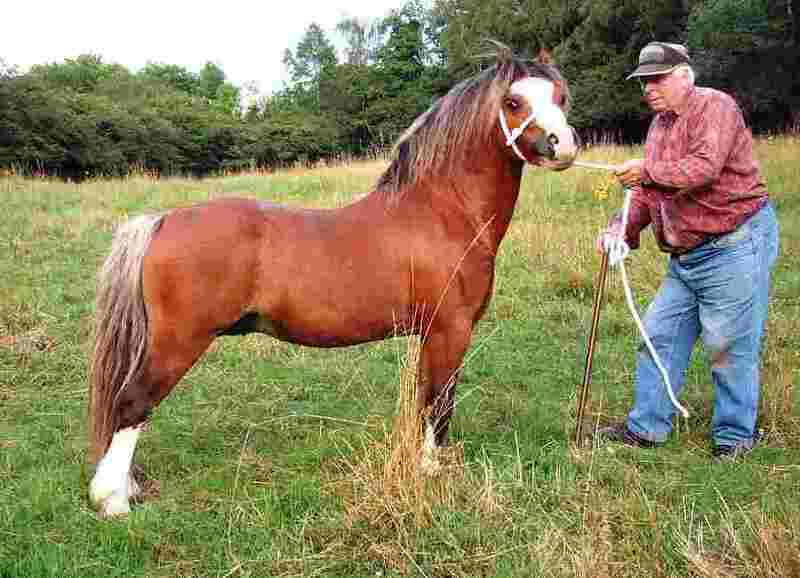 With the children’s support it was time to take stock and I had to choose my own path, well the Forlan Stud has continued, the farm has been improved and I have had continued success with my ponies and have sold to fourteen countries. I am now President of the WPCS and have many duties, also very exiting is the pony that I bred has become a mascot for the 1st Queens Dragoon Guards. Brian is not here to take part in this special year, I have missed him but more than ever this year. I moved a maiden mare away from a stallion as she would not let him near his other wives. Billie Jean had her hooves trimmed today for the first time, what attitude but hooray success. Forlan Honeypops 22 years is diabetic something in all of my years with equines I had never heard of, at the moment she is enjoying life. Was having a photo shoot today with mares and foals for a local news magazine but the heavens opened, so far to wet to go ahead, perhaps tomorrow. 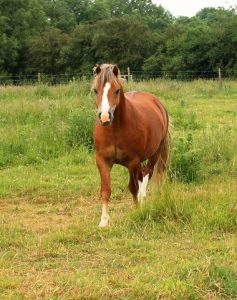 Forlan Honey Sprite now out in a field but as yet no mares, all peaceful with the other stallions & mares. Honey Bubbles now in a lovely field of grass with Dazzler. My weekly shop was today, supermarket very busy. The bottle fed lambs now down to two feeds a day, when the milk runs out that is it, any way they are eating hard food. The lawns are all cut and I spent a couple of hours gardening. I shall have few relaxing days before a busy weekend Tuesday 7th June cocktails on the lawns of The Mansion House in Cardiff and then on 12th Lunch on the Mall. The Patron’s Lunch is a truly ‘Great British’ street party to celebrate Her Majesty The Queen on the occasion of her 90th Birthday. 10,000 guests will celebrate on The Mall in London on Sunday 12th June 2016. Great inroads on weeding today, the plants reappearing from the weeds, it has been a lovely day here. This morning visited the nature reserve at the Golf Course at Castle Combe, my two young champions Honey Rhyme and Miss Sunshine are flourishing on the interesting herbs and grasses could take them straight out of the fields and show them. Looking forward to tomorrow, I am attending the Performance show in Abergavenny to award the prizes, hope the weather holds good. Does that happen very rarely, had to take my Renault Master horsebox up for a door fitting, the traffic was diabolical pleased to return home. All of the stallions and mares settling down. Great opportunity to continue gardening, just had a thunderstorm and now it has brightened up, perhaps more gardening.